The End of the Atlantean Age … a vision by Alice B. Clagett . Image: “An artist’s impression of Mitochondrial Eve who probably lived in Africa, about 150,000 years ago,” http://astrology.gatewaytoatlantis.com/Signs/CarnavalStoneAgeMadonna.bmp .. The great weight of the unconscious thought cloud of the world now holds that the Divine Masculine has the power to control the Divine Feminine. That women, children, and the elderly owe the Divine Masculine, not only love, but also obedience. We must cede our wills to that of men. That men have Power, and that women, children, the elderly do not. If truth be told, that all non-alpha males also do not. That those in Power have the right to abrogate the free will of the powerless, even to the point of ending their lives. That those in Power may rightfully delight in war and death. I Am All that Is. 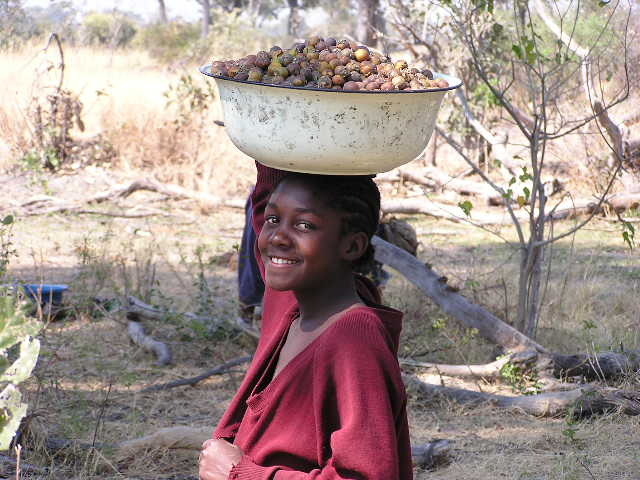 Image: “Gathering Food in the Okavango Delta,” http://enacademic.com/pictures/enwiki/71/Gathering_food_in_the_Okavango.jpg .. This entry was posted in Divine Feminine - Divine Mother - Mary Magdalene, Divine Masculine, Power over - powerlessness - service to self - service to others, Prayers - blessings - mantras - affirmations - white magic, Stories - myths - visions - legends, Visions by Alice and tagged 2u3d, Atlantean Age, divine feminine, Divine Masculine, I Am I Am, mantras, power over, stories, Visions by Alice on 7 November 2017 by Alice B. Clagett.